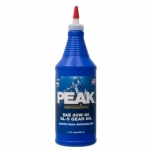 Vane, piston and gear pumps are the recommended applications for PEAK Anti-Wear Hydraulic Oils, when used in accordance with the equipment manufacturer's recommendations. 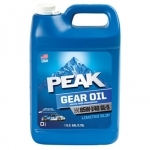 Vane, piston and gear pumps are the recommended applications for PEAK Anti-Wear Hydraulic Oils, when used in accordance with the equipment manufacturer&#39;s recommendations. 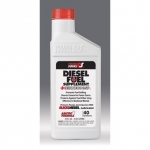 PEAK Universal Tractor Fluid is a wide-ranging solution for farm tractors and implements because it meets torque transfer requirements, as well as hydraulic and power transmission requirements, in equipment produced by leading agricultural manufacturers. 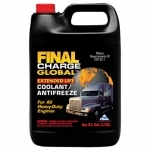 Hand Operated Lever Style Grease Gun. 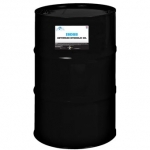 For delivery of grease in a variety of applications. 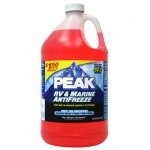 Features: Red powder coated finish, Maximum pressure 7000 PSI, Rigid pipe included, Holds 14.5 oz. cartridge, 1/8in NPT threads, Delivers 1 oz. 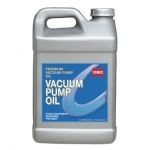 per 28 strokes, Multiple loading via cartridge, suction or bulk. 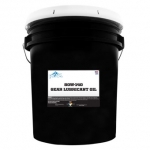 Recommended for most greases. 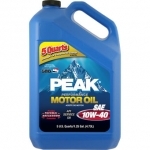 PEAK Engine Oil and PEAK Full Synthetic Engine Oil are as tough as the vehicles and environments in which they operate. 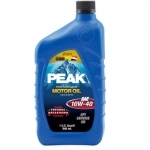 PEAK Engine Oil and PEAK Full Synthetic Engine Oils are designed to deliver on performance in:Shear down, Viscosity loss and thickening from heavy soot loading and oxidation, Sludge and carbon deposit reduction, Low temperature pumpability enabling faster start-up and reduced engine wear in low temperatures, Emissions control system protection. 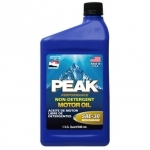 PEAK Conventional Motor Oil is formulated with high-quality petroleum base stocks and fortified with advanced additive technology that provides maximum engine protection in extreme conditions. 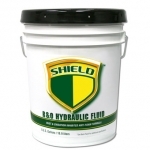 Shield R&O Hydraulic Fluid is a quality lubricant with Rust and Oxidation inhibited additives for use in a variety of applications. 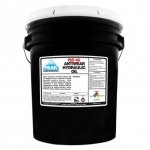 Use Shield R&O Hydraulic Fluid where straight mineral oil is required without extreme pressure, detergent, dispersant, or anti-wear additives.